Toregene ruled the Mongol Empire for five years. By then she was not in good health – she was about 55 years old. She passed on her power to her son Guyuk in 1246 AD and went into retirement, where she died less than two years later. But Guyuk was an alcoholic like his father, and he died only a few months after his mother. Guyuk’s widow Oghul Qaimish took control, but she soon lost power to another of Genghis Khan’s grandsons, Mongke, and his mother, Sorghaghtani. Oghul organized a rebellion against Mongke, but Mongke captured Oghul and drowned her. Mongke organized a census of his whole empire, counting all the people and especially the men who could be soldiers, and he organized a system of collecting taxes too. In 1254, Mongke met with ambassadors from Louis IX of France to discuss an alliance against the Mamluks as part of the 7th Crusade. 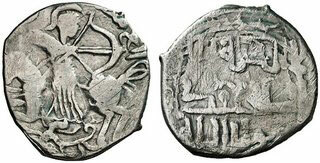 Bohemond VI of Antioch did submit to Mongke, and fought alongside Mongke as the Mongols conquered Syria from the Mamluks. Mongke also extended his rule south into Vietnam, east into Korea, and south into India. Mongke died while fighting in China in 1259, probably of dysentery or cholera. He was fifty years old. With Mongke dead, the Mongols’ great attack on Syria failed: the Mamluk general Baybars turned them back in 1260 at the Battle of Ain Jalut. 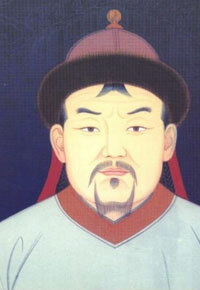 Then Mongke’s younger brother, Kublai Khan, took power. In 1274, Kublai Khan led a big fleet of Chinese ships to attack Japan, but two typhoons destroyed the ships, and Japan remained independent. In 1279, Kublai Khan wiped out the last of the Song Dynasty emperors and ruled China himself as a Buddhist. The Mongols tried to build alliances with Europeans to fight the Mamluks, but Philip III didn’t have enough power. 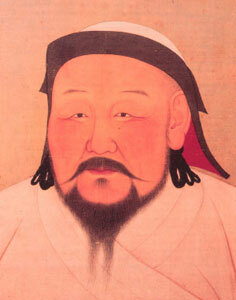 In 1294, when he was almost eighty years old, Kublai Khan died. His son had already died, so his grandson Timur took power. Timur mainly ruled in China, but still had power in the west as well. He died in 1307, and his nephew Kulug took power but only lived for four years. After Kulug’s death, there were more and more civil wars in the Mongol Empire. In 1328 AD, some people in China got sick with the bubonic plague. By 1347, the plague spread through the Mongol Empire, carried by traders and travelers and soldiers. The plague spread all through China, and all across Central Asia and West Asia, and then all across North Africa and Europe. Millions of people died. The Mongol Empire, already weakened by civil war, collapsed. Cite this page: Carr, K.E. Toregene and Kublai Khan – Mongol Empire History. Quatr.us Study Guides, May 31, 2017. Web. April 23, 2019.